Thank you for your interest in Regency Park Apartments. We have (2) different 1-Bedrooms to choose from. Our 1-Bedroom 1-Bath rents for $580.00 per month and our 1-Bedroom 1.5-Bath rents for $590.00 per month. 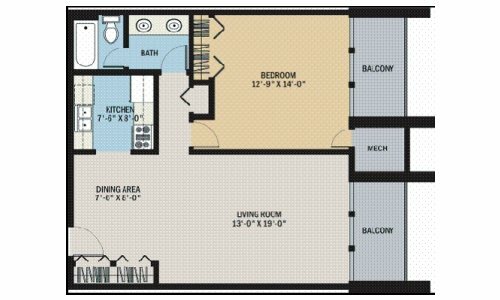 Our 1-Bedroom 1.5-Bath is 833 square feet. 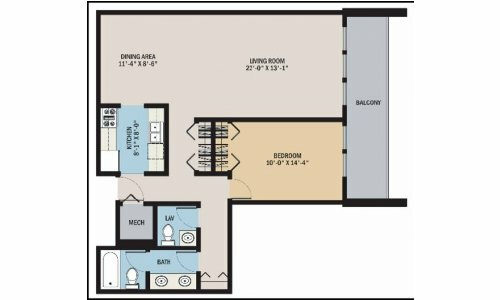 This floor plan also offers a fully equipped kitchen. The full bath features double lavatories and a separate tiled shower area. You have the added convenience of a guest bathroom. The living room and master bedroom feature your own private patio/balcony. Washer and Dryer in home are also available.